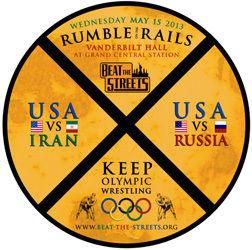 USA Wrestling and Beat the Streets Wrestling, Inc. has announced that three of the world’s wrestling superpowers, the United States, Russia and Iran, will come together in solidarity to compete in a unique wrestling event in Vanderbilt Hall in Grand Central Terminal in New York City on Wednesday, May 15. Billed “The Rumble On The Rails,” this international wrestling event will be a showcase competition as part of World Wrestling Month, which was declared by the international wrestling federation FILA. The competition will be held alongside the annual Beat the Streets Awards Gala, which will be held following the competition at Bryant Park Grill. A ticket will be required for both the competition and the Gala. The event will also be a major opportunity for the Keep Olympic Wrestling movement. On February 12, the International Olympic Committee Executive Board made a recommendation that wrestling not be a core sport at the 2020 Olympic Games. A final decision on the program of the 2020 Olympics will be made by the entire IOC in September. A worldwide effort has been launched by FILA, the international wrestling federation, and all of the 177 nations which participate in wrestling, to retain wrestling as an Olympic sport. Each year, the United States, Iran and Russia are among the world’s best wrestling nations. Since the IOC announcement, these three nations have worked closely together to help support Olympic wrestling. Although their governments do not always agree, the wrestling leaders in these nations have a strong working relationship. “The Rumble On The Rails,” is a private event. Tickets are required for admission and they must be bought ahead of time from www.beat-the-streets.org. 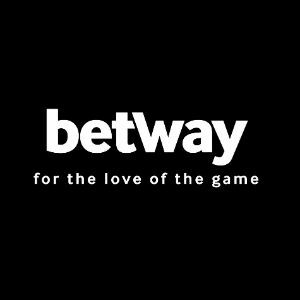 No tickets will be available on site at the event. There will be no standing room only opportunities and no view from the pedestrian walkway. Anybody who would like to see this outstanding competition must plan ahead and secure a ticket prior to the competition. This will be the fourth straight year in which a major international-style wrestling competition will be hosted as part of the Beat the Streets Gala activities. In 2010, an all-star challenge featuring top U.S. wrestlers was held on the USS Intrepid, an aircraft carrier docked on the west side of Manhattan. In 2011, the United States defeated World champion Russia, 5-2, the first sports event ever held in historic Times Square. In 2012, another U.S. vs. Russia dual meet was held in Times Square, along with the U.S. Olympic Team Wrestle-off for the 60 kg/132 lbs. position on the U.S. Olympic Team in men’s freestyle. All of these events have been great showcases for international wrestling as well as receiving major media coverage. The United States and Russia have a long history of cooperative wrestling competitions on each other’s soil, going back to the 1960’s and the era of the Cold War. This relationship has been a true example of how wrestling transcends politics and cultural differences. Competition between the United States and Iran is much less frequent, but equally an example of international goodwill through wrestling. Iran has competed in wrestling in the United States 10 times in recent years, including two competitions in New York City. This included the 1995 World Championships in Atlanta, the 1996 Olympic Games in Atlanta and the 1998 Junior World Championships in Primm, Nev., the 1998 Goodwill Games in New York City and the 2003 World Championships in New York City. In addition, the Iranian team competed in the World Cup held in the United States five times (1995 in Chattanooga, 1998 in Stillwater, 1999 in Spokane, 2000 in Fairfax, Va. and 2001 in Baltimore). USA Wrestling sponsored the first American sports team to compete in Iran after an absence of nearly 20 years, when a U.S. freestyle wrestling team competed in the 1998 Takhti Cup in Tehran. In total, the USA has wrestled in Iran 11 times including the historic 1998 tour. The USA vs. Iran dual will feature the current international freestyle wrestling rules. In the USA vs. Russia dual meet, it is expected that some experimental wrestling rules will be used, as part of the international effort to improve the sport of wrestling. Lineups for all three teams will be released when available at a later date. Those who wish to see this event or to participate in the Awards Gala must purchase a ticket in advance at www.beat-the-streets.org.